It seems like everyone out there has tried the Sharpie mug (My Sister's Suitcase, A Beautiful Mess), to varying degrees of success. Some people said only the Sharpie paint pen works. Others said regular Sharpies work just fine. And for some reason, no one understands what actually works and why. Well, I decided to give it a go since I wanted to make a Spongebob mug for my friend's birthday anyway. 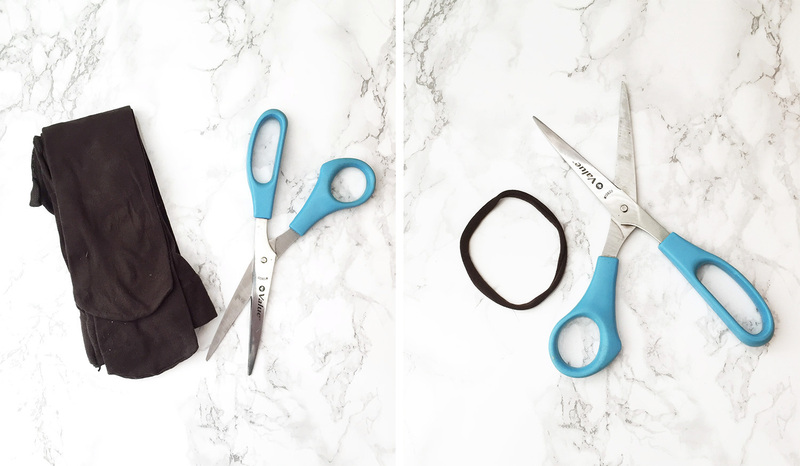 It took a little trial and error but I figured out (what I think is) the best method, and why some things don't work. I will be running my mugs through my dishwasher shortly and will report back with the results. 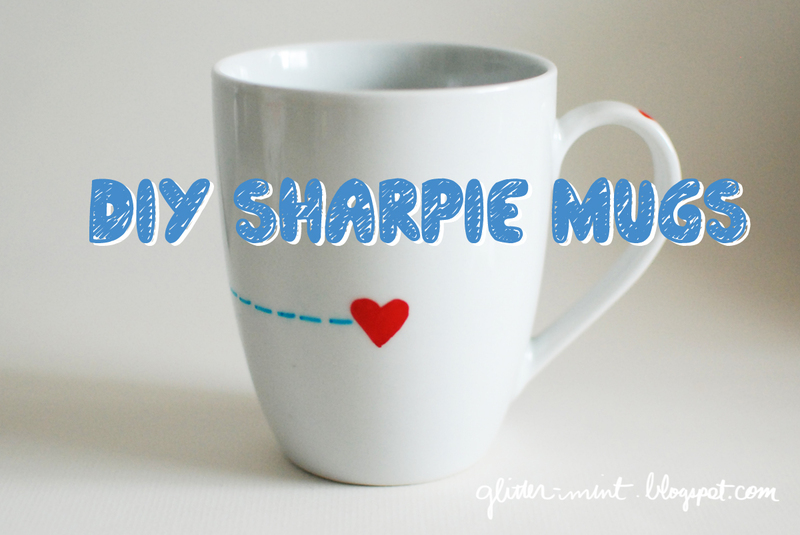 In the meantime, check out the best way to make a Sharpie mug! *Update: I ran these mugs through the dishwasher and they held up! The blue almost faded away completely but the black and the red are going strong! Hooray! >> Draw on your design with regular old Sharpie. The oil paint marker will definitely last longer. That's just the way it goes. But since I usually hand wash my dishes, I didn't worry about it. 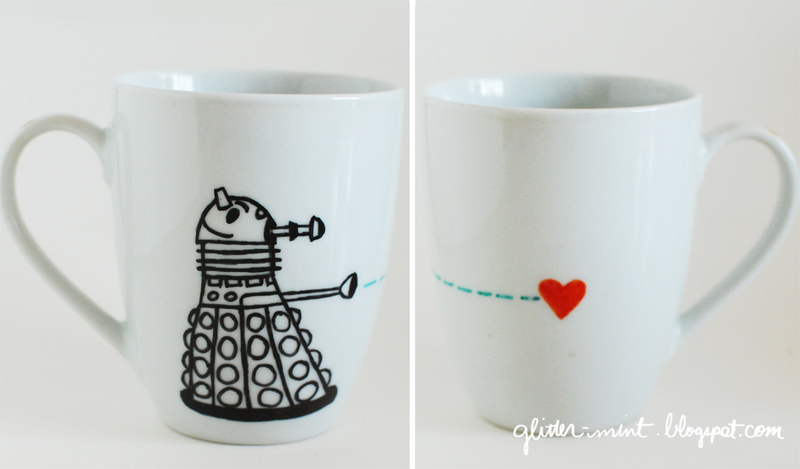 You can print off a design and transfer it by rubbing pencil on the back of the picture and tracing it onto the mug (like this). 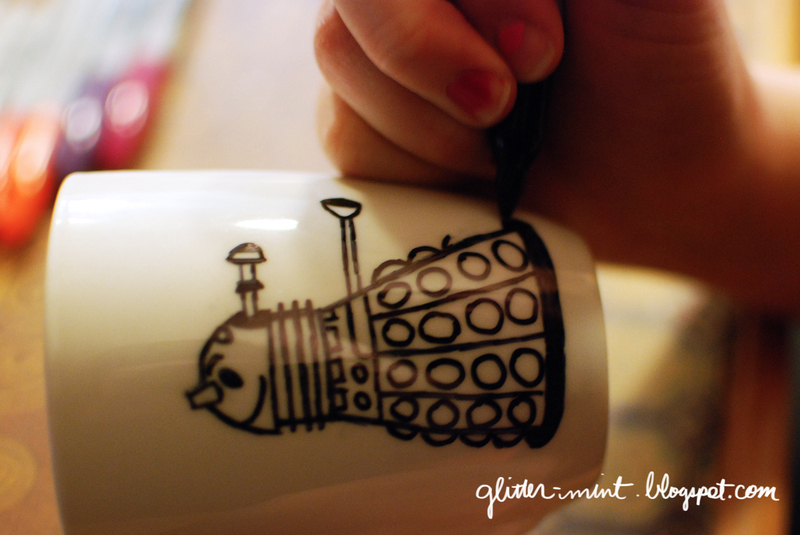 You can also (sort of) draw with pencil on the mug first. 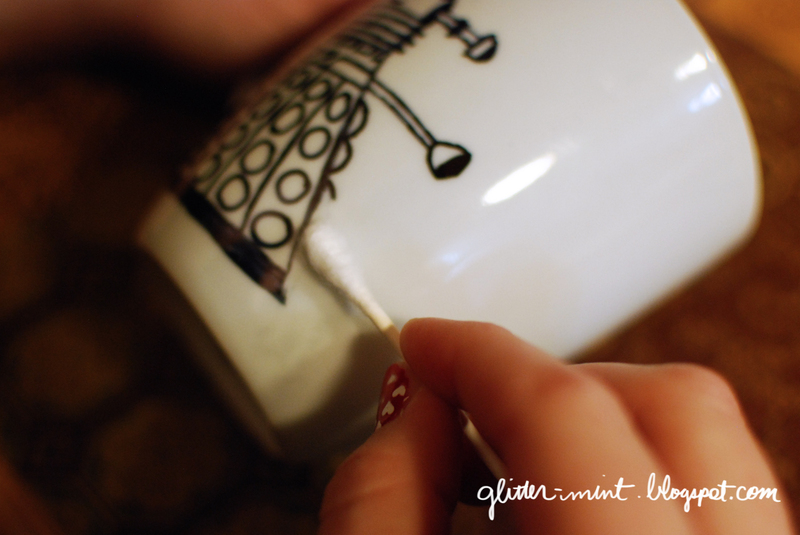 >> If you make any mistakes, dip a cotton swab in some rubbing alcohol and it comes right off! 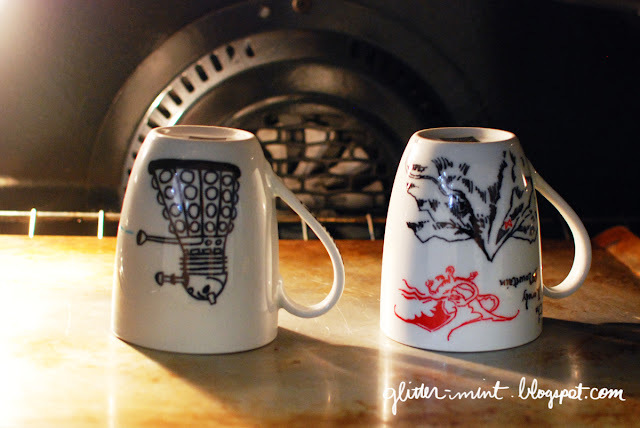 In order to make the mug (at least hand) washable, the glaze on the mug needs to melt a little and incorporate the Sharpie ink so it sort of becomes part of the glaze. 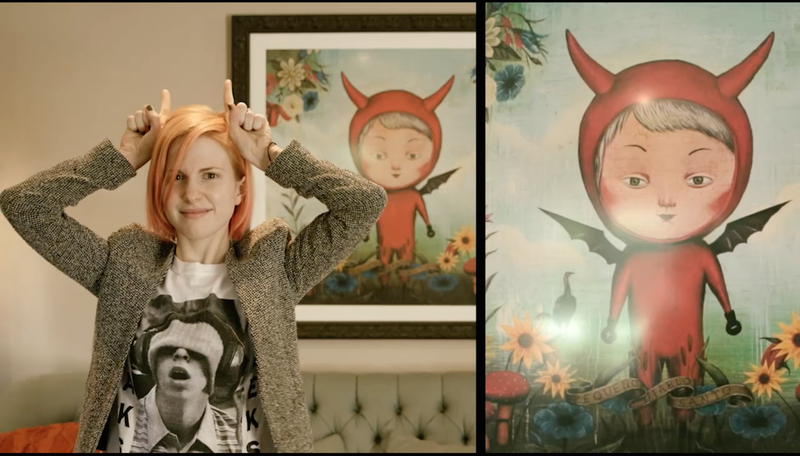 Then when you wash it, the ink doesn't just smear off. That's why you should use a cheap (but oven-safe) mug. The glaze will be lower quality and therefore more likely to heat up the way you want it to. If you use colored Sharpies on your mug, the color will fade. That's one way to tell if your mug has baked long enough: the color should be noticeably lighter. I only used a blue and red color. The red turned to a orangey-red, but the blue stayed pretty much the same although slightly lighter. So, I wouldn't really recommend using any color lighter than red. Of course you could, but it's more likely to fade away completely and more likely to come off when washing. So go forth and make mugs, my friends! 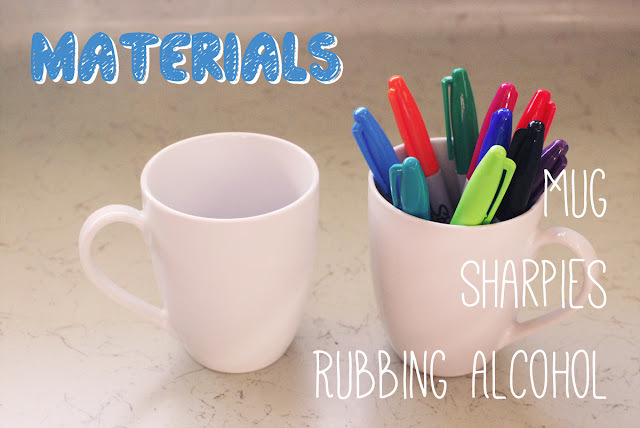 You should probably use a Sharpie paint pen if you don't like to hand wash dishes. 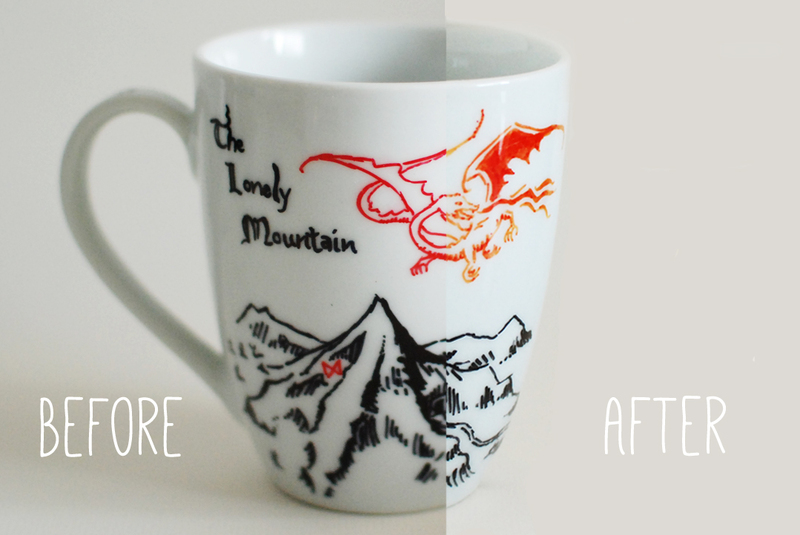 But weigh the cost and benefits: get your hands a little dirty for an awesome custom mug? I say it's worth it.